Take Healing Therapy to New Heights! Give The Gift of Health – Protect yourself & loved ones from dangerous electrosmog – Heal the cells and heal your body! 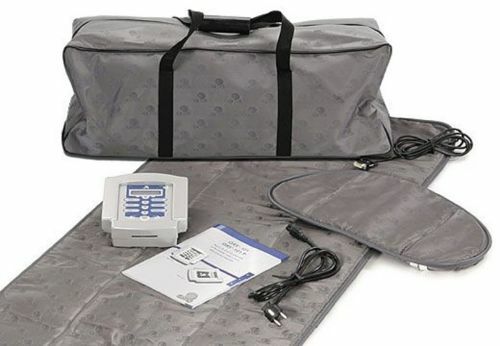 QRS PEMF Therapy System The Finest PEMF System Available! So Effective, Dr. Oz featured the actual QRS system on his National TV show because QRS is the only mat backed and proven by actual studies. As you utilize Hyperbaric Oxygen Therapy for all the health-giving benefits that oxygen offers your body, would you to like to enhance this therapy and power up your health and the health of your loved ones to the NEXT LEVEL? If so, I have a great suggestion, one that goes with HBOT like coffee goes with your cup! Try PEMF Therapy on for size! PEMF or Pulsed ElectroMagnetic Field Therapy will improve your hyperbaric therapy sessions as it amplifies the energy systems of your body. By adding an 8 minute PEMF session right before you dive, you can improve the functionality of the cells throughout your body. Hyperbaric Oxygen Therapy sessions, of course, are bringing the nourishing goodness of oxygen into your body and coursing it through your body’s blood plasma, which in turn serves as the therapeutic fuel that powers the engine. Pulsed ElectroMagnetic therapy will charge your engine! BECOME A FERARRI. The way your body works, it produces brand new cells every minute of the day. Old cells die while the new are created. And by improving your cellular function, you are improving your life force and quality of your life. Begin PEMF technology, and the integrity of the cell is improved – yes absolutely – and that is just one of its great benefits. The cell is like a battery and PEMF, the charger. A charged battery means more personal vitality, and more energy to heal and recover. PEMF strengthens your system with its balancing frequencies, frequencies the body just loves, and thrives on. And incorporating a PEMF mat into your oxygen therapy program will upsurge the permeability and the in-out functions of your cell membranes so that they absorb oxygen through their walls like a suction cup. And now, too, they begin to release inflammatory toxins and remove it from the body. With your Hyperbaric Chamber you’ve begun to create this lush, oxygen-rich environment and permitted your body to uptake that oxygen. However, an extra special bonus with the adjunct of Pulsed ElectroMagnetic Therapy, is that because it improves the permeability of your cells and increases the transport of oxygen across those barriers, you begin to thrive on a higher level of cellular performance. Let the restoration begin!! Even more, Pulsed ElectoMagnetic Frequency Therapy treatment is the BEST way to optimize the uptake of oxygen you receive in the hyperbaric chamber because it separates all the red blood cells and enables them to carry the oxygen that you then deliver to every cell and tissue while in the chamber. It takes only eight minutes for this to happen to the red blood cells, which is astonishing – and proven! If a person has inflammation then their blood will be clumped together and the red cells are the equivalent to a whole lot of taxis gridlocked together. None of them can get their passenger door open to let in the oxygen. So if you put a person with clumped blood in the chamber (and most people will have high inflammation) then their ability to carry all the oxygen is not optimal and they miss out on the greatest benefit. Hyperbaric Oxygen Therapy and Pulsed ElectroMagnetic Frequency Therapy treatments go together hand in glove! The beauty of this is that they are both natural too – oxygen and energy! That is what the human body thrives on! PEMF therapy will add a new dimension to the quality of your Health-Achievement Strategy. Discover renewed energy that will transform the quality of your life. The PEMF/HBOT strategy is truly a perfect combination for Health. QRS PEMF System – The industry’s most comprehensive PEMF! 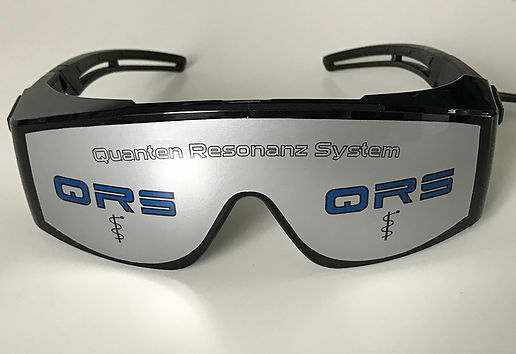 The QRS Quantron Resonance System is a registered medical device with a number of world patents. The QRS has decades of science-backed validation to prove its profound efficacy for enhancing health. And the QRS is NOT an over-hyped and over-priced multilevel product or company! I provide tremendous customer support and a scientifically proven PEMF system that will provide years of benefit to your health and wellbeing. After all my 20 years of study and purchases of various tools for health, there is one tool I will never be without. And that is a PEMF system! 1. How was it developed? QRS is the original system developed by world renowned inventor Dr EG Fischer working with the prestigious team of leading scientists. This included Dr. Linus Pauling considered the father of Vitamin C and Ortho Molecular Medicine and recipient of (2) Nobel Peace prizes. Also Dr Robert O Becker considered the father of electrotherapy and electrochemically induced cellular regeneration. Dr Becker leading the early opposition to high voltage power lines and was named one of the most influential figures in the area of anti EMF activism. 2. QRS has (4) world Patents on their technology and continue to improve it with proprietary developments to this day. The other competitors tried to use this proven technology but were forced to stop. So since they can’t use the proven patented technology, their mats instead rely on inferior unpatented, unproven substitutes. 3. QRS has far more research than any other PEMF system with over 200 papers and clinical studies published. 4. One of the most significant points is the QRS is the only PEMF systems that absorbs harmful electro smog (EMF’s) and they have the patent that protects this critical technical capability. You can find some videos on the internet showing that the IMRS and the Bemer created 30 to 60 times more electrosmog than the QRS, which registers at 0. This is critical. Think of it. Would you sleep with your head resting on your cell phone? 5. 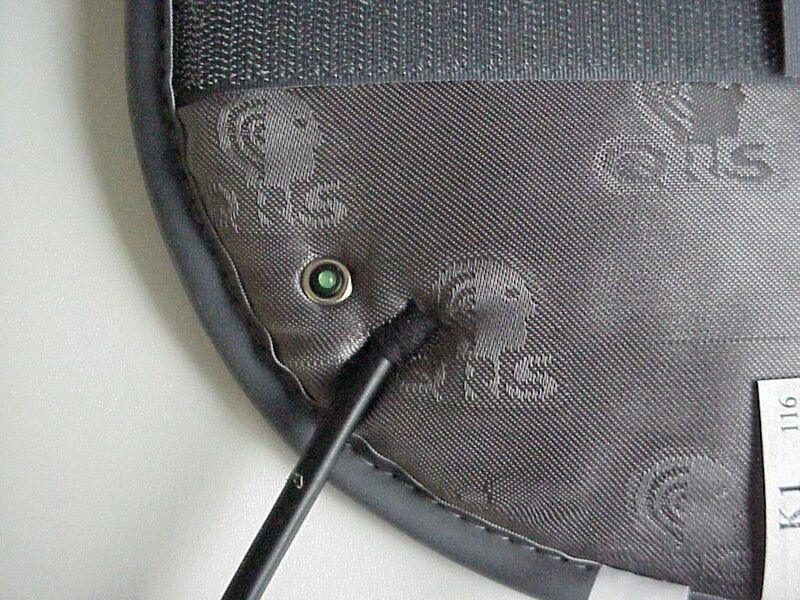 QRS is designed to sleep on as it utilizes a soft and plush mesh fiber system. iMRS don’t have the patent to resort to a hard copper coil system. 6. QRS has an ear device accessory which helps with Tinnitus and other hearing problems. It also has Treatment Goggles which help many eye conditions including Macular degeneration and Glaucoma. iMRS, in contrast, has a, what they call, brain entertainment light and music show that they have the nerve to sell for $700. 7. Exclusvie patented bioavailable wave form signal that is an identical match to nature. They us a proprietary Double Sawtooth QRS e-Function Signal – The proprietary softly curled QRS e-Function Signal is different than the other brands. And it’s NOT something that can be easily produced such as the inferior, jolted energy Square Wave that’s used in the MRS and Other Systems. 8. QRS works so well QRS offers you a 6 month return privilege. You have no risk. No other systems offers anything close to this. IMRS offers only 15 days. Could there be something they’re afraid of? 9. Service and support I have to say I was very very disappointed with the IMRS folks I bought from on the internet … but very pleased with QRS. Research and development results from Space Research Programs. Scientific tests through Eurospace and World Space Research gives All magnetic field therapy manufacturers generally claim that their products regenerate cells, heal diseases and energize cells by activating the cell metabolism. Cell metabolism however is always conditional on ion transport. Therefore be prudent with such statements: Only QRS after many years of research has the worldwide patent for ion transport in the body cells. If anyone claims this ability, the statement is either wrong or is infringing on the worldwide QRS patent. Only QRS is completely justified in claiming to accomplish the transport of hydrogen-calcium-sodium-potassium-chloride and magnesium ions. Because of that, better cell supply is possible and at the same time cells are freed from waste products and toxins. QRS provides a marked increase of oxygen in the tissues; the rate of oxygen diffusion is raised by 80-900% and energy molecules (ATP) are formed. The QRS system even allows of transport of these structures possible through hardened or flagging tissue structures. Wherever there are electrical cables in the air, earth or buildings, electrosmog exists. This can cause so-called energy diseases, which in turn can cause chronic diseases. While infectious diseases decreased more and more during the last I00 years, chronic disease rose rapidly (also due to energy deficits). 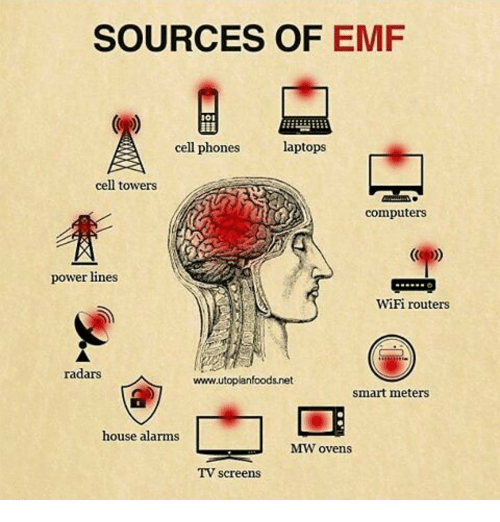 The healing frequencies of natural magnetic fields do not stand a chance against the electrosmog fields, the self-healing processes of the body are blocked. The quantronic therapy system intervenes by supplying the body again with vital energy. Such artificially generated healing magnetic fields only have an effect if a reduced EMF field was generated in the room first. This means that the existing electrosmog has to be reduced to a minimum. Because if therapeutic frequencies are mixed with the electrosmog they have a far from healing effect. 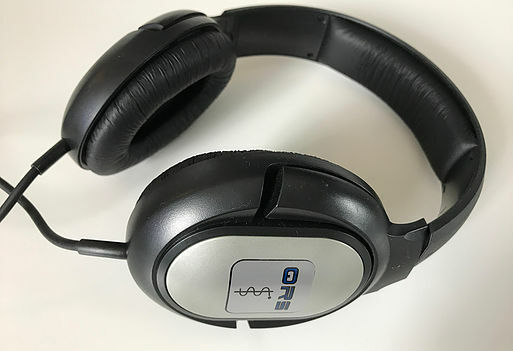 QRS is the only manufacturer who considers this and has internationally patented the “50 HZ electrosmog killer” in connection with quantronic therapy. All magnetic field therapy manufacturers generally claim that their products regenerate cells, heal diseases and energize cells by activating the cell metabolism. Cell metabolism however is always conditional on ion transport. In order to support the cell metabolism. as well as releasing the cells of toxins, free radicals and waste products the tension of the cell membrane has to be maintained at a high level. To slow down the cell aging at the same, the energy part of the cell has to be built up. Only then energy molecules (ATP) will be formed. This only works with the cell specific amplitude window. This window in the body cell was discovered by QRS and it makes the Ion transport possible and therefore the so-called resonance phenomenon. Only in this way a resonance can be produced in ions, cell membranes and the walls of blood vessels. And only when this resonance is produced can ions be transported and the cell metabolism is beneficially influenced. How this actually works as with QRS, it strengthens the immune system as well as regeneration of the body through production of protein (in the case of nerve cells; memory proteins), build-up and balancing of the bio-electro-potential of cell energy, strengthening of the metabolism and activation of hormone production. The patent was issued for these phenomenons which are the sole preconditions for the energy build-up in the cell. A completely deep action as in every part of the organism fields and currents are formed, even in the blood vessels, where until now only pharmaceuticals could effect the necessary regulation. A strengthening of the body’s own weakened fields, to steady and stabilize bones, for the exchange of cell nutrients and waste products, for the formation of proteins, to regenerate cell components and to boost the immune system. A harmonization of uncoupled oscillators to balance tension and relation in the autonomic nervous system, to gently dilate tense blood vessels, to initiate sleeping rhythms and automatically initiate the performance phase in the morning. Most medications, which spontaneously cover the symptoms of disease, often have unforeseeable side effects. The QRS however, supports the natural healing capacity of an organism and helps to fight the causes of disease without the side effects. Of course therapy with the QRS is quicker and more successful if it is supported by proper nutrition and the necessary exercise. 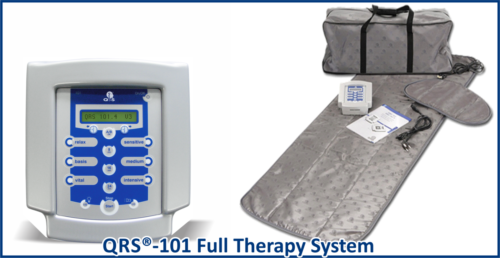 The QRS System activates cells for better absorption of vital substances including oxygen. 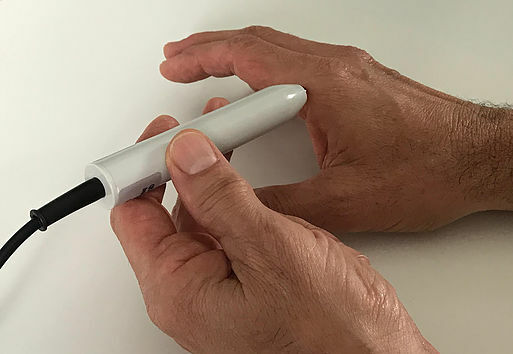 The daily use of the QRS vitalizes the organism in a specific ways, which, for example, can only be reached by taking a daily walk for more than three hours. In detail: The QRS increases cell metabolism and therefore improves the cell membrane potential. This improves the cell’s ability to function. The improved electric cell voltage provides a higher “osmotic” pull for the absorption of minerals and nutrients into the cell. At the same time the circulation of the blood in the tissues is increased providing thirsty cells with more oxygen. A higher blood and oxygen penetration provides further positive effects: reduction of fermentation processes and acid excesses, relaxation of tensed hardened muscles, boosting metabolism and strengthening the immune system. Additionally QRS works in a purifying way, promoting the removal of toxic agents out of the cells. When hormones cause muscle growth, there is no effort behind it, but in a simple and ingenious principle of nature: hormones function exclusively as signaling substances, which transport messages. But the cell will accept the message only if the “feelers” of the hormone fit perfectly into the docking station of the cell, the cell “receptors”. This mechanism is called the “key-lock principle”. In the meantime science has found out that a cell not only transforms the “secret codes” of the hormones into a biologic language but also turns on special “electromagnetic receptors”, which react by means of quantum resonance fields. The QRS e-function (exponential) waveform is a soft-curl Fibonacci shape at the top of each power pulse being emitted with a soft dissipation of the energy, slowly removing the power at first, and then it lets go, faster and faster, in an exponential spin until it hits infinite speed of release. This e-function waveform only works with the cell specific amplitude window and is the secret to the unlocking principle in the cell walls to begin the osmotic ionic transfer of nutrients – in and flush of the waste – out. This is called the “Resonance Phenomenon” that initiates the “Ion Transport.” QRS has two worldwide patents in relation to this. Relax Program: 0.3Hz, 1.5Hz, 3.0Hz dominant frequencies present 3.0Hz through 1000Hz subtly underlying the other frequencies. These frequencies focus on activating the parasympathetic nervous system. This program will positively influence deep relaxation, immune system stimulation, insomnia, and stress reduction as well as red blood cell support for oxygen transport. Basis Program: 3Hz, 22Hz, 500Hz, 750Hz, 1000Hz dominant frequencies present, 1000Hz through 10,000Hz subtly underlying the other frequencies. The Basis program focuses on ion-transport, especially protons into the cells, thus stimulating cell metabolism & cellular communication. Red blood cell separation is also stimulated. Vital Program: 0.1 Hz, 10Hz, 22Hz, 250Hz, 500Hz, 750Hz Dominant frequencies present, 750Hz through 10,000Hz subtly underlying the other frequencies. The Vital program is very similar to the Basis program, this program positively influences vitality. These frequencies focus on activation of nitric oxide and oxygen to blood, tissues and cells. Nitric Oxide, is a oxygen carrier molecule and was awarded a Nobel Prize for it’s importance in cardiovascular health. v Improves blood circulation and micro-circulation; reduces blood platelet adhesion (stickiness). v Helps Prevent Thrombosis (blood clots). v Regulates high and low blood pressure; stimulates natural release of Nitric Oxide to relax and expand blood vessels. v Improves blood vessels, improves the cholesterol level, increases the oxygen partial pressure. v Increases oxygen uptake and reduces respiratory problems and asthma attacks. v Reduces pain and inflammation, improves circulation and oxygenation. v Speeds post-operative healing of tissues, scars, etc. As you utilize Hyperbaric Oxygen Therapy for all the health-giving benefits that oxygen offers your body, would you to like to enhance this therapy and power up your health and the health of your loved ones to the NEXT LEVEL? If so, I have a great suggestion, one that goes with HBOT like coffee goes with your cup! Try PEMF Therapy on for size! bonus with the adjunct of Pulsed ElectroMagnetic Therapy, is that because it improves the permeability of your cells and increases the transport of oxygen across those barriers, you begin to thrive on a higher level of cellular performance. Let the restoration begin! !